From down the well: Two new quilts! 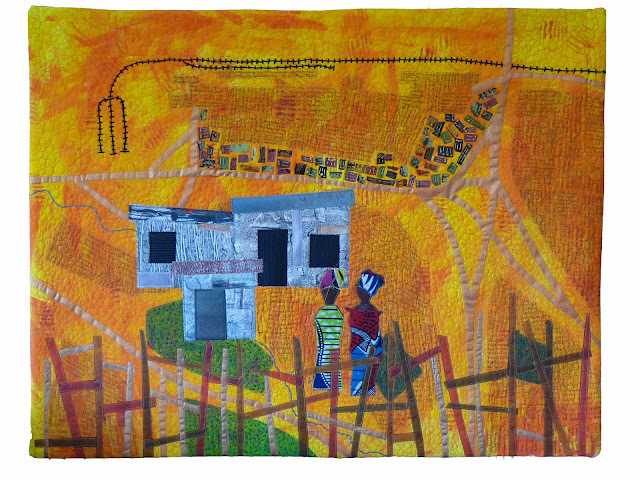 .I also finished the next in my Maps series, a smaller version of my Joe Slovo Township quilt, this time with some people in it. these people are my old style simpified African Women and I think I would like now to make a quilt with some more detailed realistic township women in.